I recently had the opportunity to be a guest on the Make+Create Podcast, which is a podcast dedicated to empowerment in the creative and business space. Host Jen Veguilla-Lezan shares the stories of entrepreneurs, artists, designers and individuals pursuing their creative journey and seeks to inspire and motivate others. We had a great talk ranging from the transition from design school to entrepreneurship in a bad economy (we both attended the same art school! ), balancing work and motherhood, and the role technology plays in fashion design, among other things. I hope you enjoy! 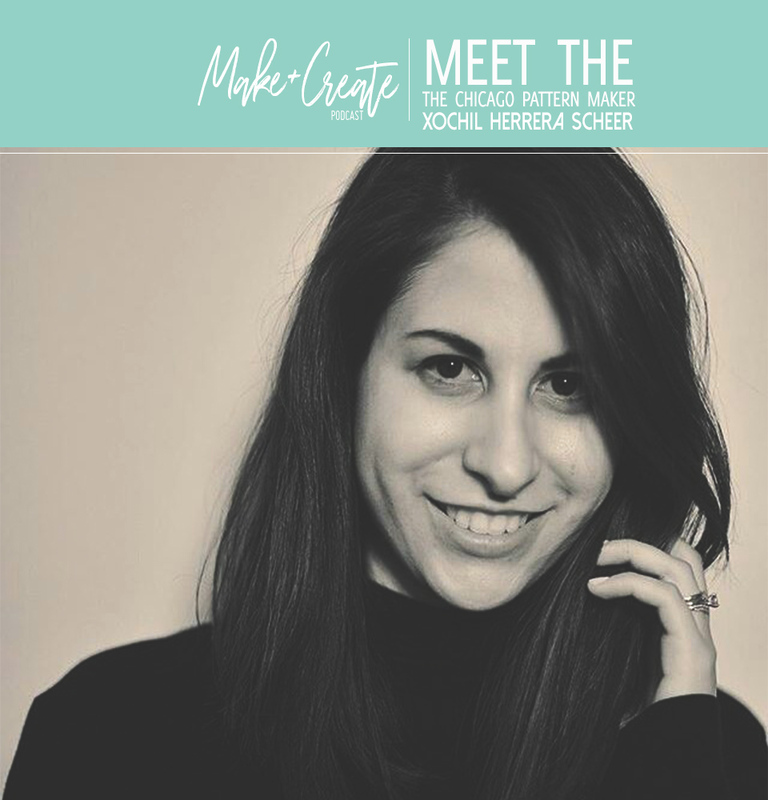 The Chicago Pattern Maker: Xochil Herrera Scheer is a professional product developer, passionate about ethical sourcing and manufacturing, and Made In USA products. She is involved in the fashion community through connecting resources, sharing experiences, and professional development events. Xochil is a lover of slow fashion, collaboration, and is always game for a peanut butter dessert. I created this toolkit just for you! Enter your email below to receive the Sourcing Toolkit.